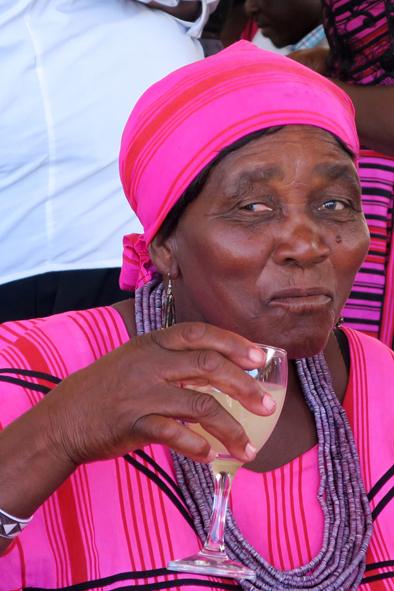 “Oshituthi shomagongo, Marula Fruit Festival is a celebration that lasts 2 to 3 days between March and May, uniting the eight Aawambo communities of northern Namibia through the consumption of “omagongo” a beverage made from the marula fruit”. 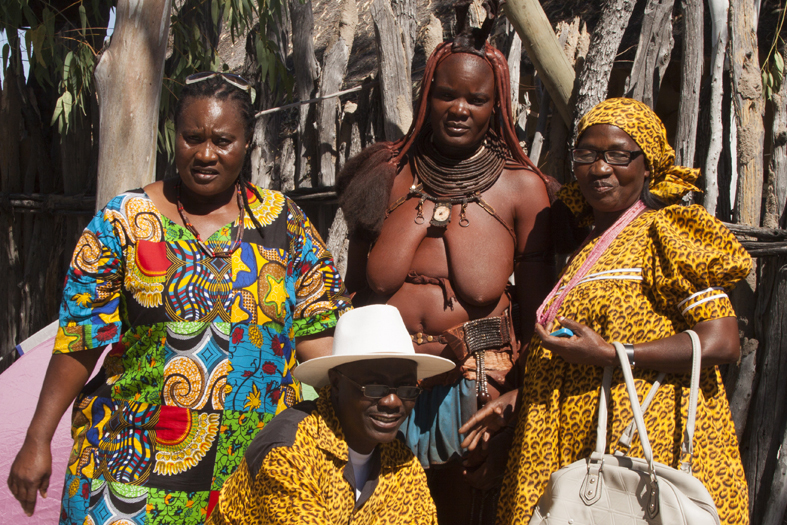 To host this edition at his residence in the village of Onalushwa in northern Namibia, was Tk. 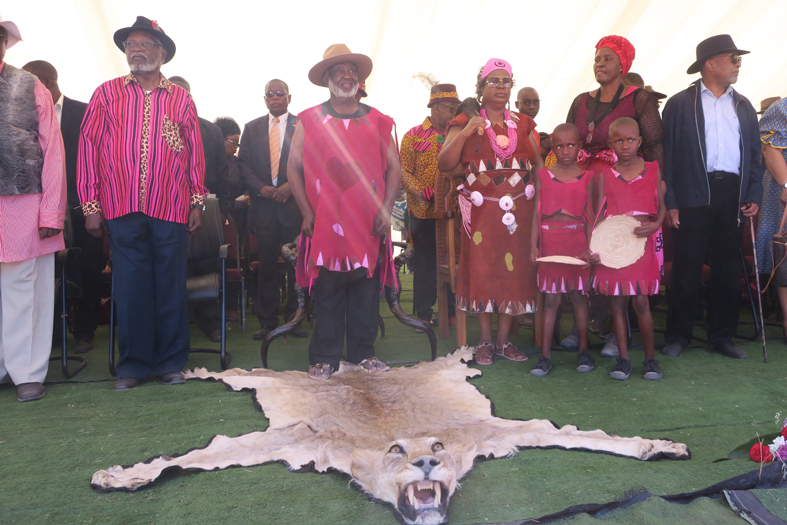 Josia Shikongo Taaopopi, king of Uukwaluudhi, one of the 8 sub-tribes Ovambo joined on the occasion for the production and consumption of Omagongo, an alcoholic drink obtained from the fruits of Marula. 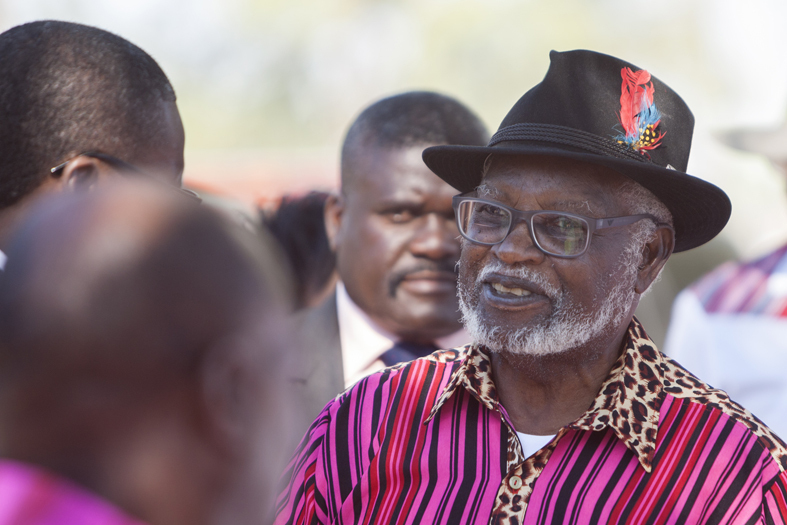 Promoting development through cultural heritage, was the guiding thread of the Marula Fruit Festival 2018, which had as special guest Mr. Sam Nujoma, the founding father of independent Namibia and its first President as well as the creator of the Omagongo Cultural Festival. 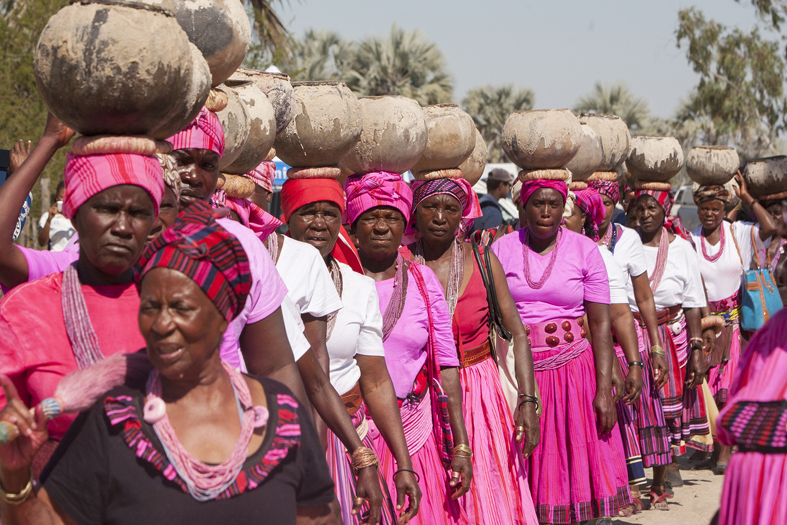 Over 5000 people took part in the Festival, belonging to different ethnic groups from the various regions of Namibia. 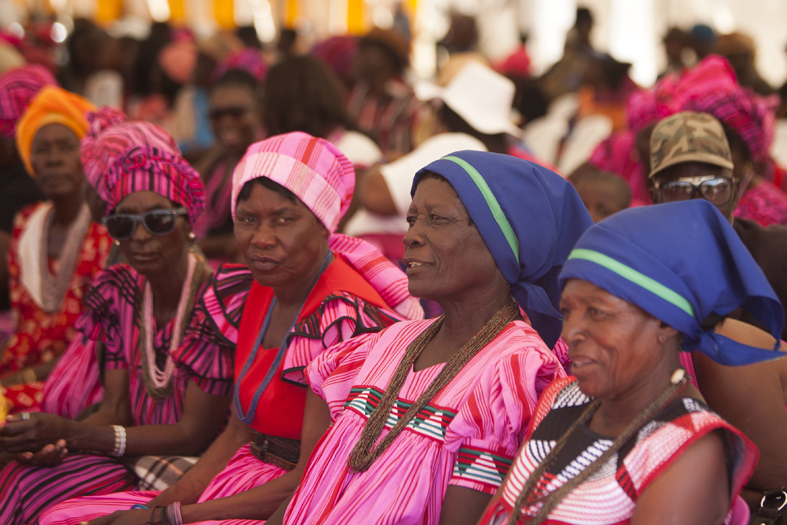 Both men and women, dressed in their colorful traditional clothes. 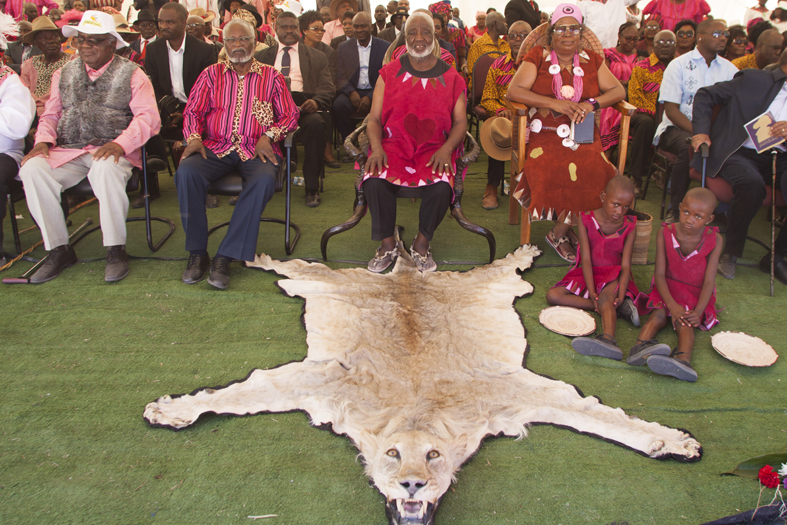 In the gallery of honor, a large tent, together with the king seated on a throne adorned with kudu horns and at the feet a lion’s skin, to the queen, Naandjali Taapopi and Sam Nujoma, also Hifikepunye Pohamba, (former President), Nangolo Mbumba (Vice President), Saara Kuugongelwa-Amadhila (Prime Minister), Peya Mushelenga (Minister of Urban and Rural Development) and Katrina Hanse-Himarwa (Minister of Culture, Art and Education). 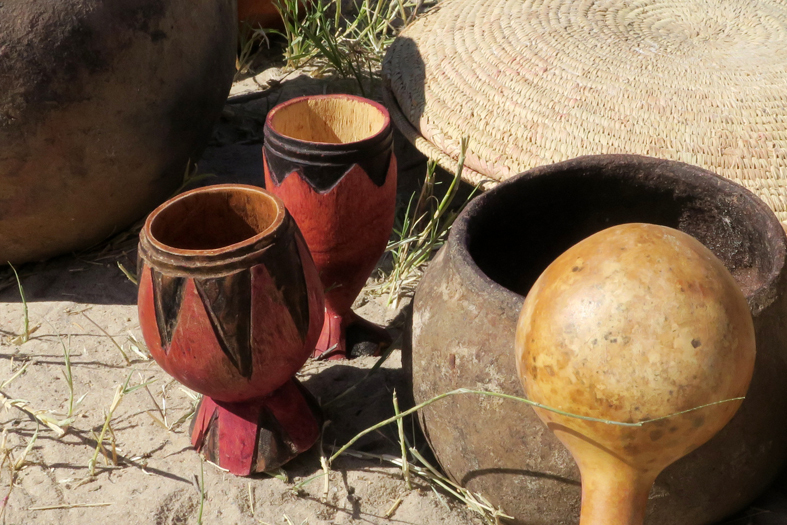 In the days leading up to the Festival, the men produced and carved the traditional wooden cups from which the Omagongo is drunk and made small handcrafted tools made with horns of animals useful for women to work the fruit of Marula and to obtain the drink. 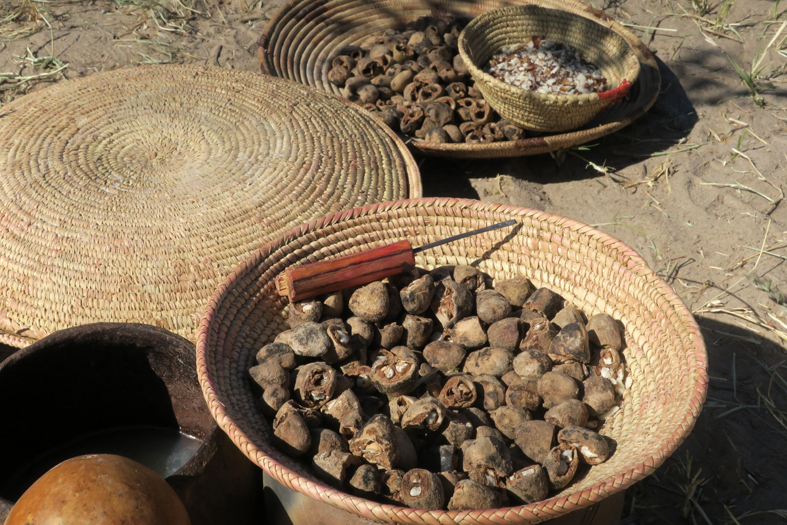 The women, on their side, hand-turned the terracotta pots in which they let Marula juice ferment for three days. 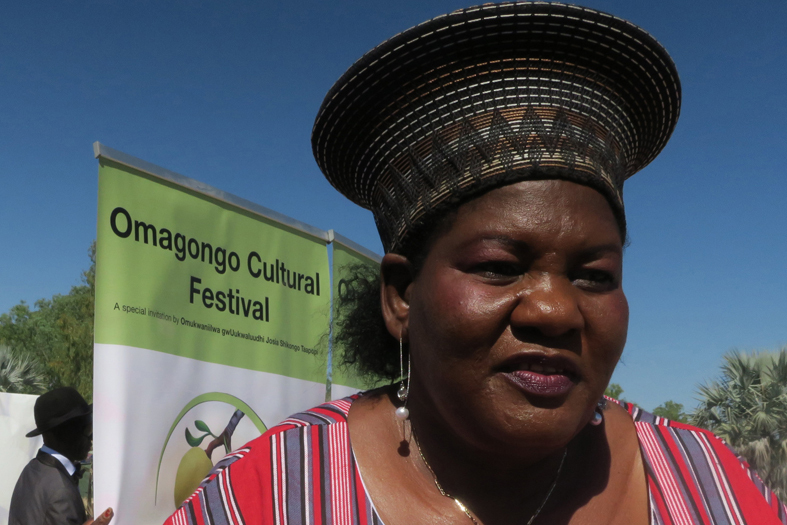 The same containers full of Omagongo paraded on the head of a hundred women, in honor of the king and his guests, before being placed on the tables of the rich buffet served during the Festival. 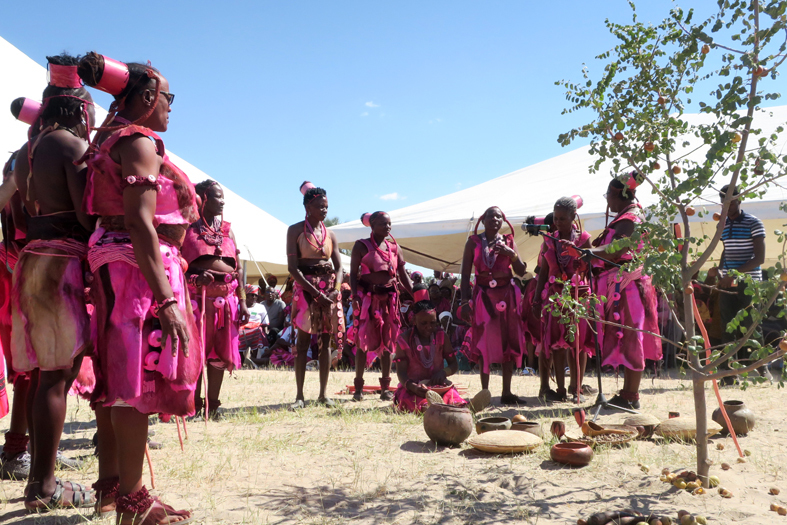 A show with traditional songs and dances, proposed by the Tjekushwana cultural group around a small Marula tree to show the production process of the Omagongo, started the event. 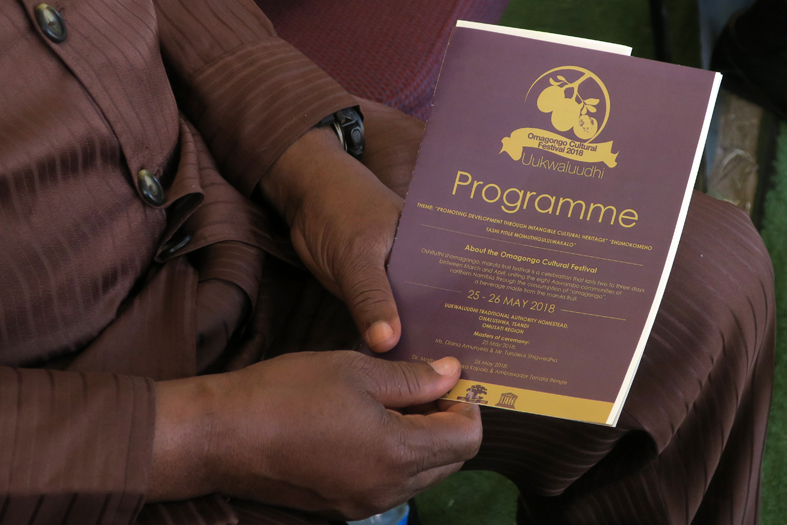 Following this, institutional speeches during which the importance of preserving the traditions and culture of ethnic groups still considered as the cradle of humanity has been reaffirmed. 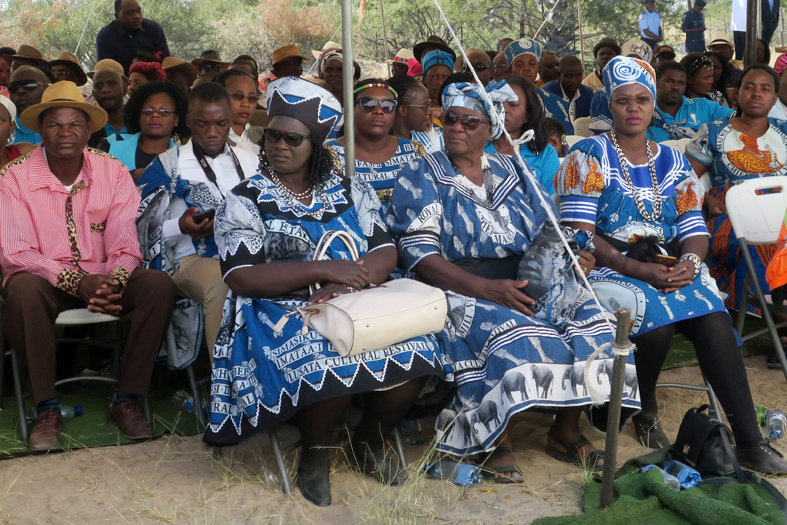 The Festival continued with a rich banquet, hectoliters of Omagongo, musical entertainments and live performances during which the crowd in joy was unleashed in songs and dances under the hot sun of Namibia! 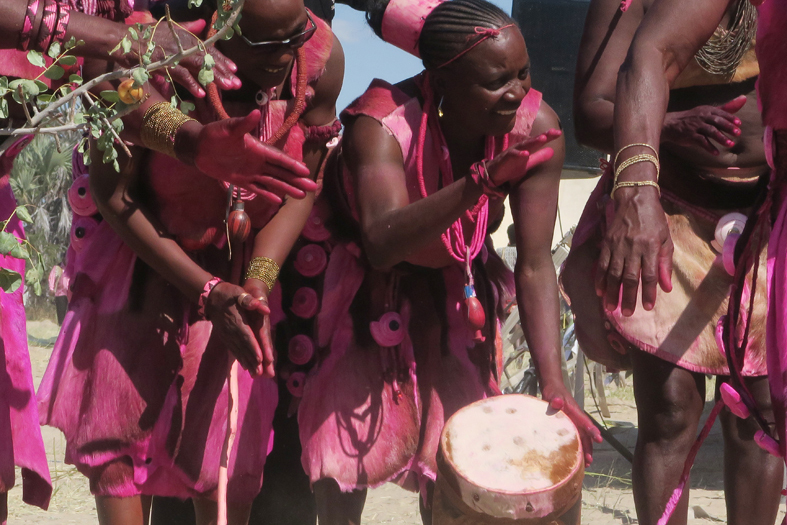 AURUM Africa gives appointment to the next Marula Fuit Festival scheduled in 2019 in Ongandjera (north Namibia)! 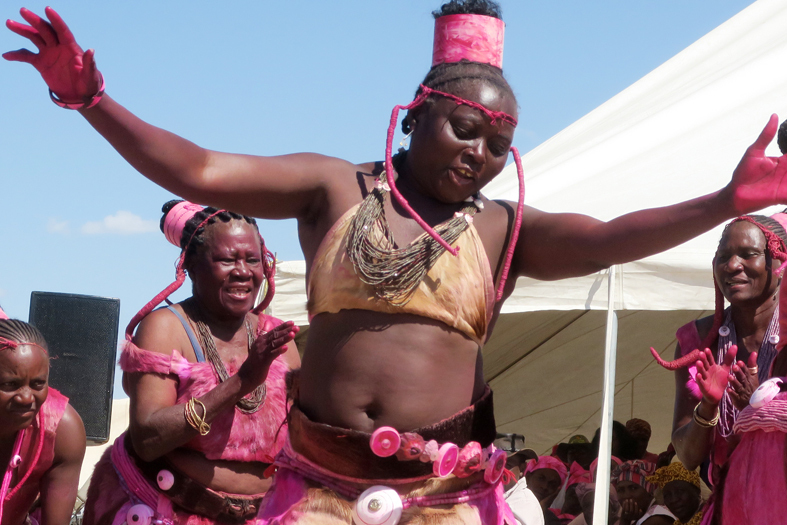 Namibia’s Marula Fruit Festival listed as UNESCO Intangible Cultural Heritage. 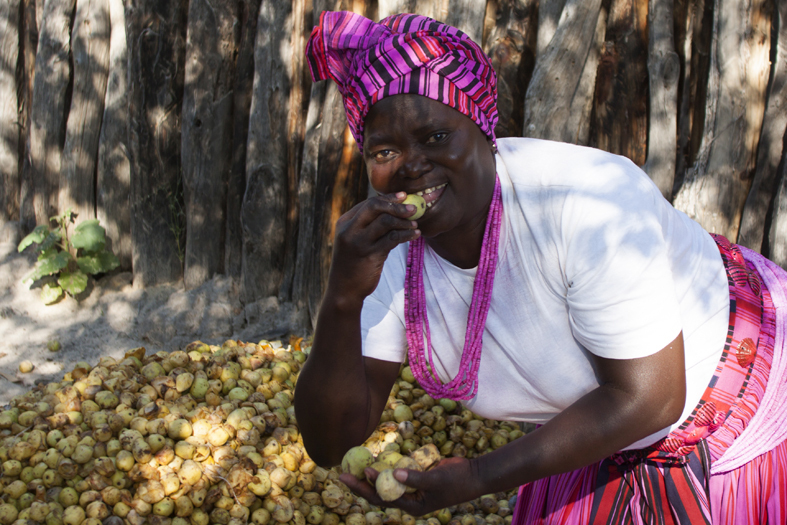 Omagongo is a traditional “wine” from the areas where Marula’s tree grows. 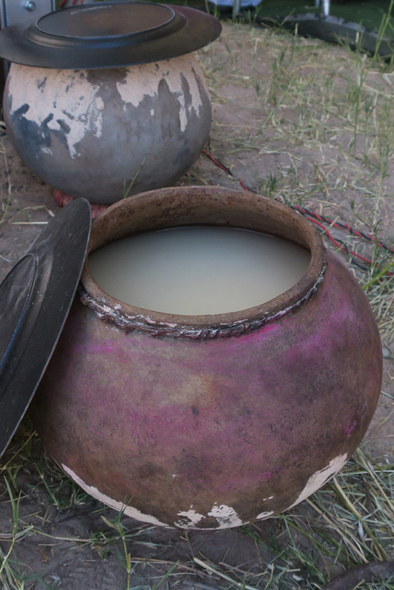 It is produced with the juice obtained from the fruits of Marula left to ferment in appropriate terracotta containers for 3 days. After fermentation, the liquid becomes clear and is ready for consumption. The drink has a high content of vitamin C and an alcohol content of just under 15 degrees.